Sun Belt Offensive Player of the Week: Justice Hansen, Arkansas State -- Completed 17-of-28 passes for 257 yards and three touchdowns, rushing for 76 yards and two more scores, in the Red Wolves' 51-35 win over Georgia State. 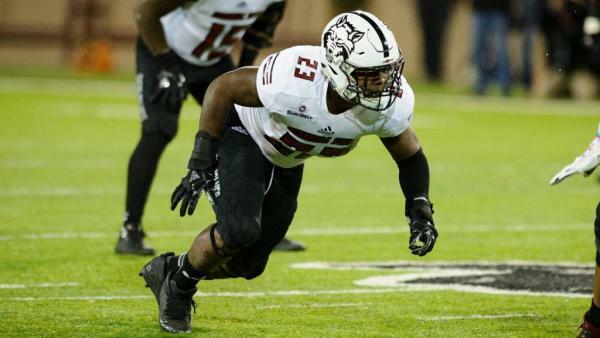 Sun Belt Defensive Player of the Week: Ronheen Bingham, Arkansas State -- Recorded six total tackles, two sacks and two pass deflections in the Red Wolves' 51-35 win over Georgia State. Sun Belt Special Teams Player of the Week: Warren Wand, Arkansas State -- Returned a first quarter kickoff 91 yards, setting up a touchdown in the Red Wolves' 51-35 win over Georgia State. Sun Belt Coach of the Week: Joe Moglia, Coastal Carolina -- The Chanticleers compiled 498 total yards and scored 21 second half points in a 24-13 win over UMass. Sun Belt X-Factor of the Week: Darrynton Evans, Appalachian State -- Rushed 26 times for 183 yards and a touchdown, adding a 20-yard scoring catch, in the Mountaineers' 27-17 win over Louisiana.